Saucon Valley Karate Academy - Our Goal is Black Belt Excellence! Have you heard of the traditional Korean Martial Art of Tang Soo Do? This Korean form of self-defense is based on scientific methods of empty hand and foot techniques, combined with weapon skills, designed to turn your body into a powerhouse of excellence! Whether you are new to martial arts, a seasoned pro, or simply want an activity for your child to get passionate about after school...you can count on a traditional "home" feel within our modern martial arts training programs. Certified instructors get you results, safely. It's easy to get caught up in the hype of hybrid classes of Crossfit-style moves mixed with martial arts techniques you only see in the movies. They look like a lot of fun, after all! But we focus on larger goals than teaching you how to quickly do a burpee to a roundhouse kick. We want you healthy, successful, and kicking it into high gear as safely as possible. Qualified instructors will prepare you for real world experiences by training in a dynamic, fast paced atmosphere with over 2,000 years of study and skill behind the lessons. 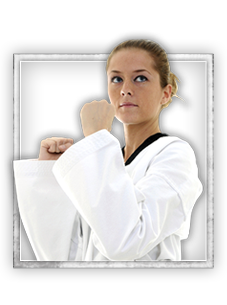 Through Tang Soo Do you'll become part of a rich legacy of martial artists, with a stellar reputation, and invaluable life saving skills. Students develop defensive and offensive skills, learn how to handle and defend against weapons, and learn how to develop both physical and mental power through rigorous training. At Saucon Valley Karate Academy we build leaders. We aim to build an atmosphere within the studio for all students to have a positive sanctuary. A place they can train knowing their efforts are what counts towards achieving amazing results! We'll help you and your family improve not only your lives, but the lives of those you love and care about. Stop by or check out one of our web special to find out how you can join our family today; we can't wait to help you strive for Black Belt Excellence! Master Geiter is a certified Master Instructor, currently holding the rank of 4th degree black belt in Tang Soo Do, and has been teaching for over 22 years. Before opening Saucon Valley Karate Academy in January of 2013, Master Geiter trained and taught at Bethlehem Martial Arts Academy, under the direction of Master John Gallagher. Master Geiter competed regularly in WTSDA tournaments, where he placed in numerous events, and is a 2 time grand champion. He continues to train and seek advice from other instructors, and has been exposed to other martial arts including, Hapkido, Judo, and Shotokan, to name a few, all of which have enhanced his skills in Tang Soo Do. His goal as an instructor is to continue to train and learn while helping his students realize their true potential. His aim is to develop students through their martial arts training so they may progress not only as martial artists - but as outstanding leaders in their community as well. Saucon Valley Karate Academy is a registered studio in the World Tang Soo Do Association. The WTSDA was founded in 1982 by Jae Chul Shin. Grandmaster Shin held the rank of 9th degree black belt; he trained and taught for over 60 years before his passing in 2012. Grandmaster Robert Beaudoin is our current Grandmaster. He was promoted to 8th degree black belt in 2010, and was a student of Grandmaster Shin for over 50 years. The WTSDA has over 170,000 members in over 38 countries worldwide. Traditionalism, Professionalism, and Brotherhood /Sisterhood are the slogans that the WTSDA strives to maintain. For more information on the World Tang Soo Do Association, visit www.wtsda.com. Come join our Hellertown, PA Martial Arts facility! 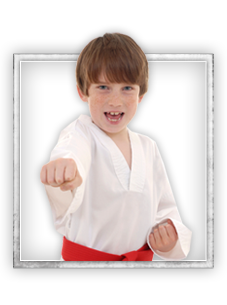 We offer programs in Kids Martial Arts and Adult Martial Arts. Choose a program that most interests you and have the opportunity to sign-up right here on our site for one of our awesome web specials. Or feel free to give us a call at 610-748-1575 if you have any further questions. Saucon Valley Karate Academy hopes to speak with you soon!